There will never be a shark movie greater than Jaws. 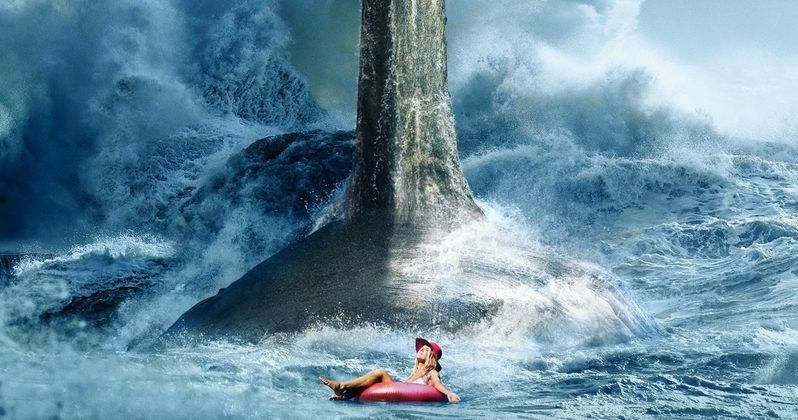 But The Meg is certainly looking to give Steven Spielberg's classic a run for its money this summer. Despite going wildly off the rails in terms of the book it is based upon, this new killer shark thriller looks like an insanely fun roller coaster ride. A new sneak peek has arrived, and it delivers everything we've been hoping for in this type of trashy cinematic excursion. The giant shark at the heart of The Meg gets a lot of screen time in this 30-second teaser. And like recent great white movies 47 Meters Down and The Shallows, which barely gave us any big fish moments to cheer for, this thing looks like its stacked to the ceiling with delicious attack carnage and edge of your seat, pulse pounding scares. We're all in, and I'll even go as far as to say, this could be the movie of the summer. "I mean, who doesn't want to watch a movie about the biggest shark that's ever existed? And I get to be in it? This is as good as it gets." Many fans of Jason Statham have one question on their minds after watching the more recent trailers and footage that have been released thus far. Known to throw a mean fist, will Jason Statham actually punch this giant shark in the face? Statham isn't giving up that spoiler, but he does say this as a tease. "I'm not saying it doesn't happen." The Meg has been in development hell for more than a decade. It almost surfaced in 2006 at New Line, with George Clooney being eyed for the lead. But that never happened. Jon Turteltaub is directing the finished product, but Jan De Bont and Eli Roth were both attached. It's a small miracle that this thing even got made. The story is loosely based on Steve Alten's best seller Meg, but the movie is taking quite a few liberties from the source material. And that might all be for the best, no matter how upsetting it is to fans. You can check out the latest footage from The Meg courtesy of Warner Bros. There are some pretty crazy and intense moments locked in here. And we can't wait to see the entire thing when it hits theaters on August 10. We also have a cool new standee and poster that will send shivers down your spine and keep you out of the water for the next few months.